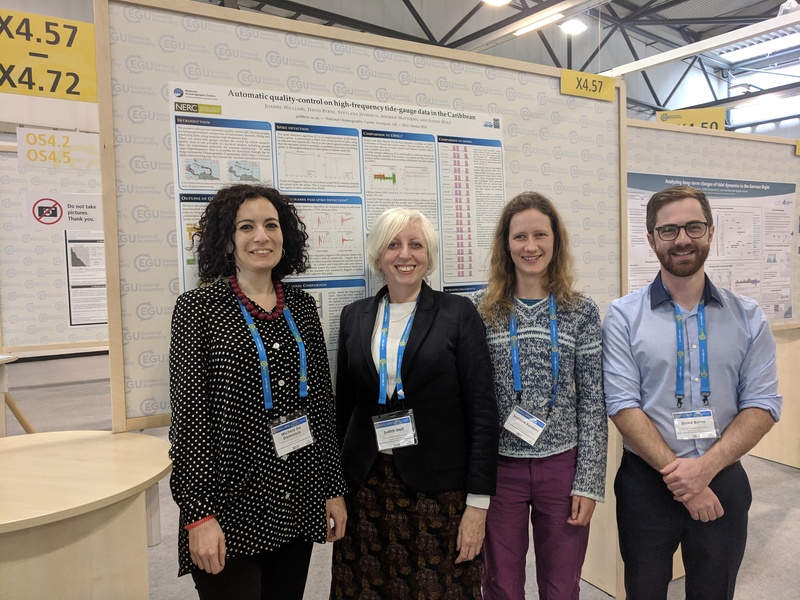 This week at the European Geophysical Union (EGU) conference, NOC scientists presented a new automated process of quality control for high-frequency tide gauge data. This process could greatly improve the data available for scientists researching high frequency sea-level variations, such as wind waves and tsunamis. There are many tide gauges around the world that don’t produce research-quality data, and manual quality control has traditionally been too labour intensive. As part of the Commonwealth Marine Economies (CME) programme, scientists at the NOC have developed a single Matlab package for quality control of tide gauge data from the International Ocean Commission. The team is currently testing the method in the Lesser Antilles in the Caribbean, where little attention has historically been paid to the tides. NOC scientist Dr David Byrne said “Good quality data is key for validating models and managing coastal climate risks for Small Island Developing States”.